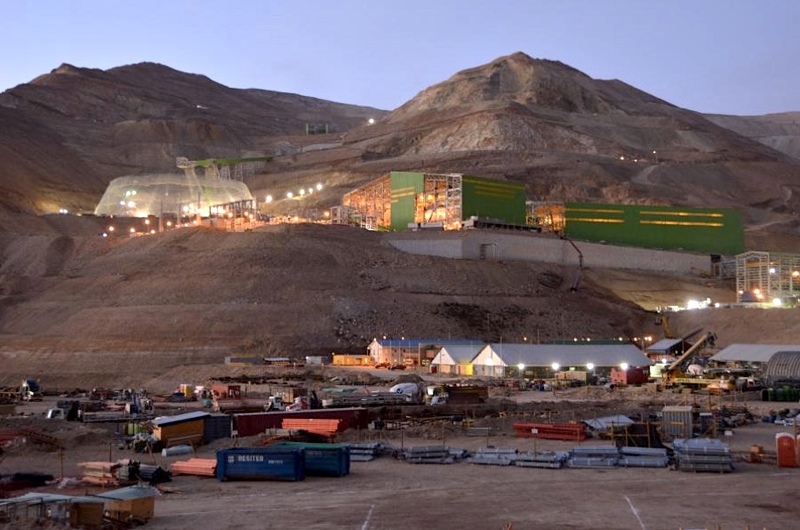 Chile’s Caserones, a copper mine that has suffered a series of technical problems in its ramp-up phase and which belongs to Japan's top smelter, JX Nippon Mining & Metals, Mitsui Mining and Mitsui & Co., is now running at 90% capacity, a senior mine executive said Thursday. The mine, which has been behind schedule ever since it began producing in May 2014, had to halt operations for three weeks following a blackout caused by heavy snow and rain in May. It’s been trying to get back on track since then and Mitsui & Co CFO Keigo Matsubara told Reuters the operations was already back to its January-March levels. The mine, which began producing in May 2014, has suffered a series of technical problems in its ramp-up phase. Caserones — operated by Minera Lumina Copper Chile (MLCC) — has also suffered the impact of a hefty fine from Chile’s environmental regulator SMA, which in March 2015, charged the mine $11.9 million for a number of infractions, including failure to implement mitigation measures to prevent the contamination of underground water supplies and the construction of unauthorized transmission lines. At the time, the penalty was the second-highest fine the SMA had imposed since it was set up in 2012. The copper-molybdenum mine, located at an altitude of 4,200m to 4,600m above sea-level close to the border with Argentina, is expected to have an annual production of 150,000 tonnes of copper to 3,000 tonnes of molybdenum during its 28 years-mine life. Mitsui's investments in Chile's copper industry date back to the 1990s and it now has minority interests in a number of the country's leading mines, including Collahuasi, Los Bronces, and El Soldado.